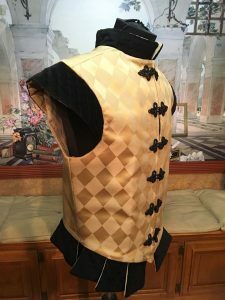 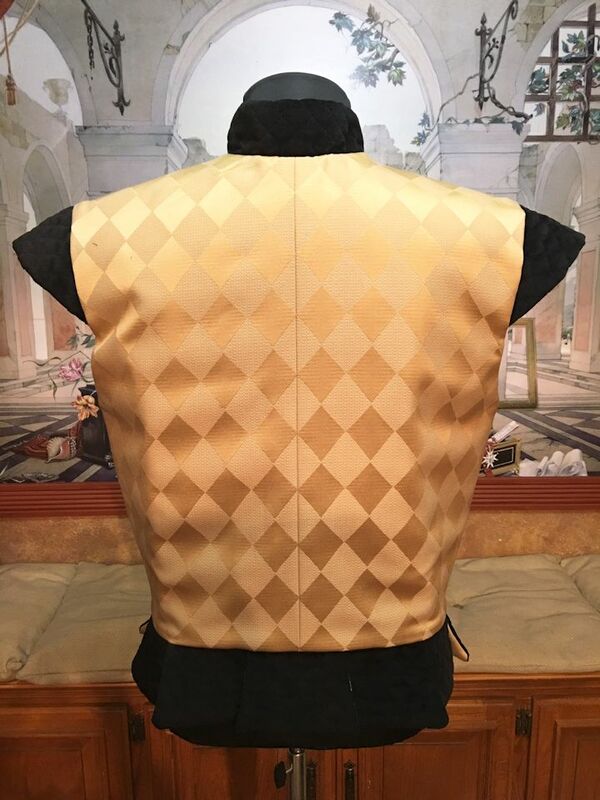 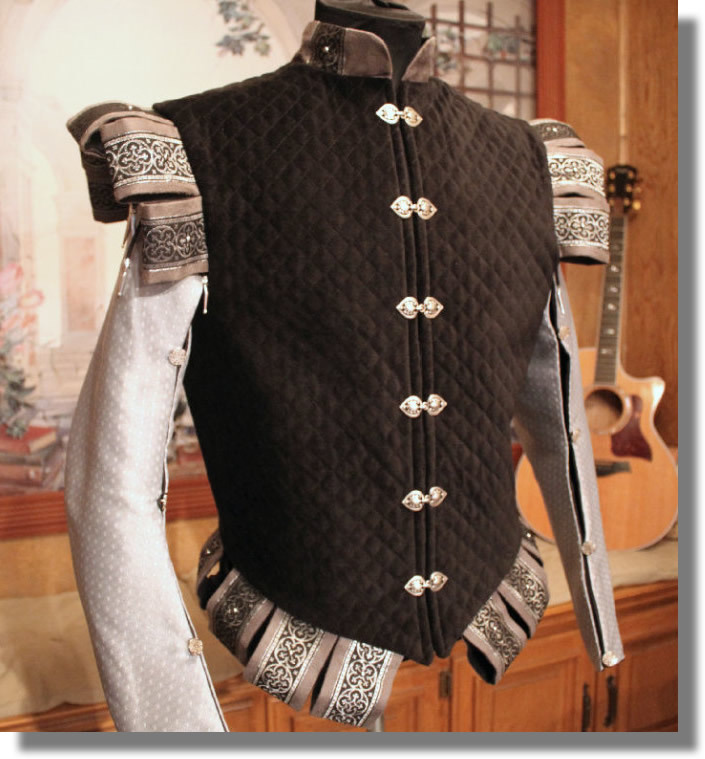 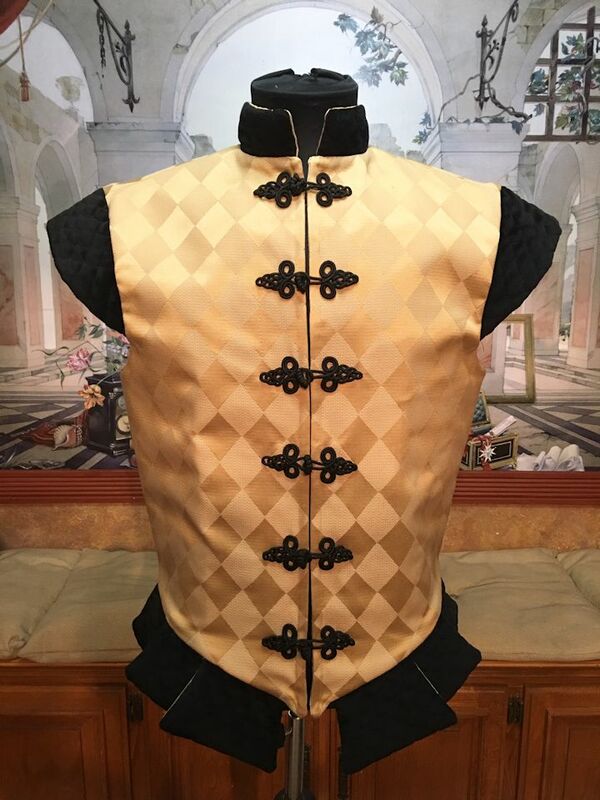 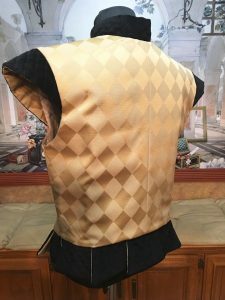 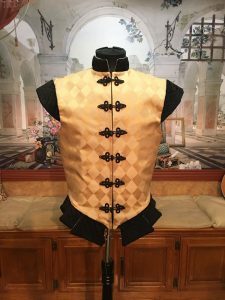 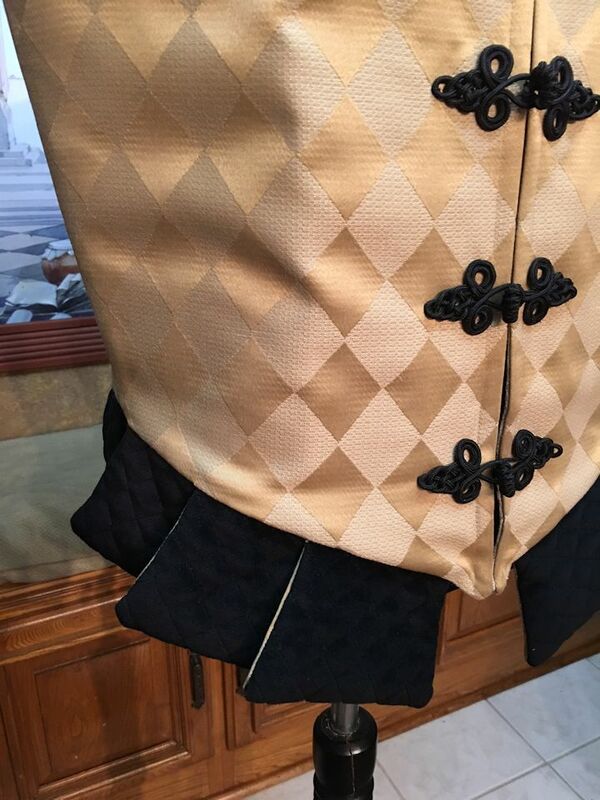 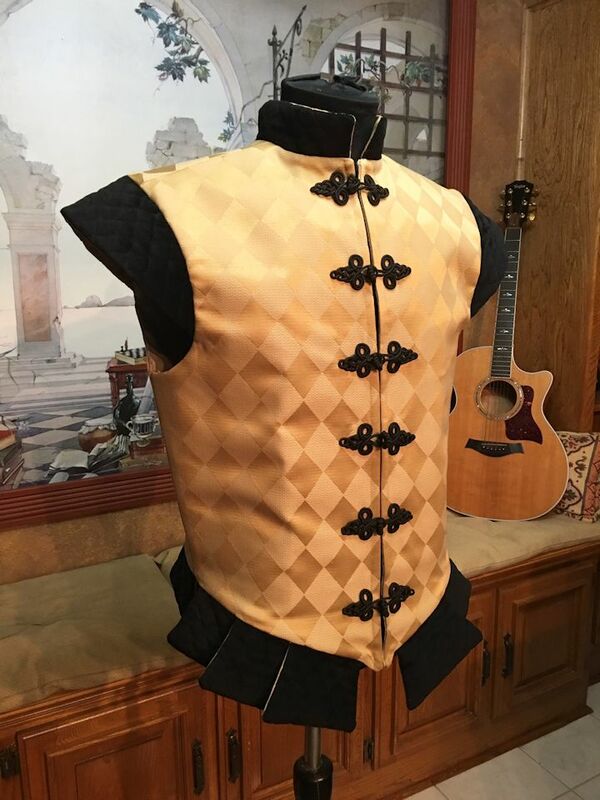 This elegant doublet is made with a gold jacquard fabric with a woven harlequin design. It is lined with medium weight upholstery fabric and interlined with heavy weight interfacing. 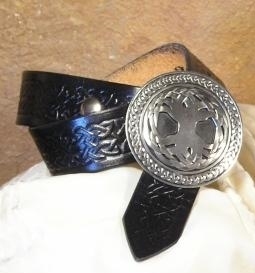 Six black frog closures adorn the front. The shoulders caps, collar, and waist tabs are made with black quilted velvet fabric. 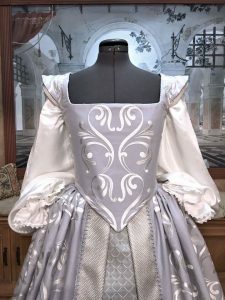 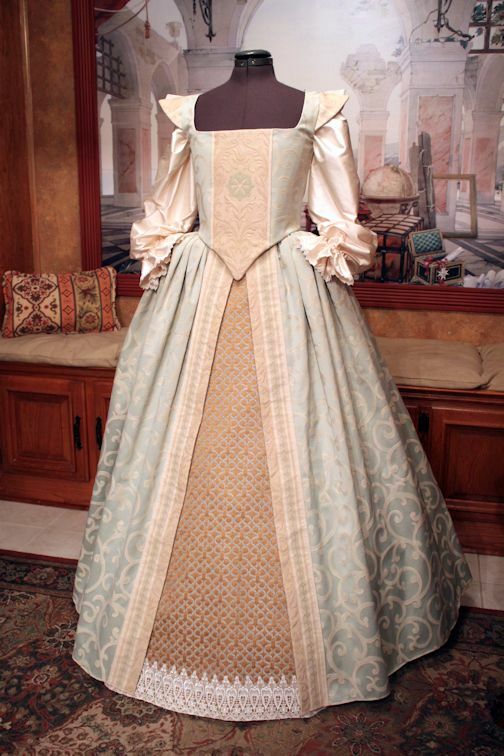 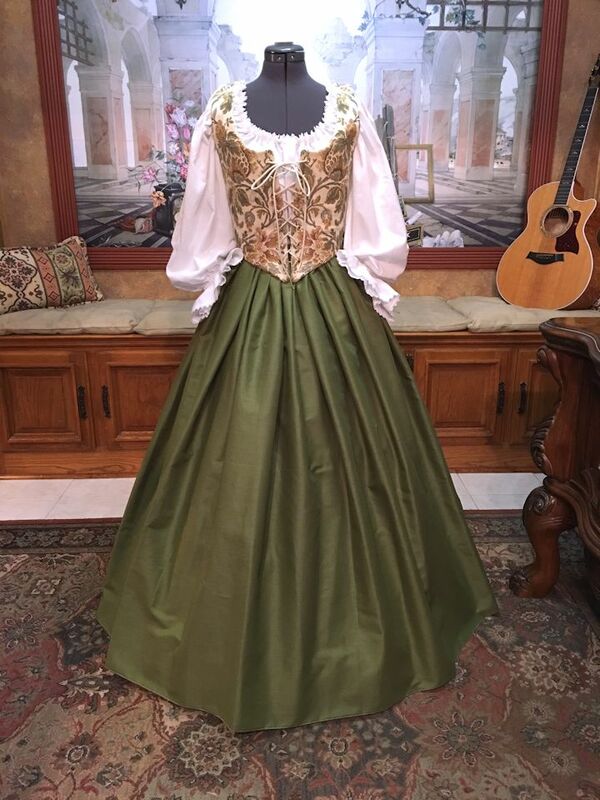 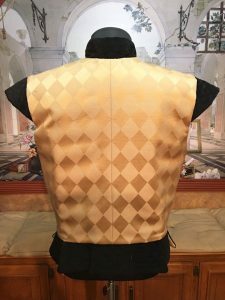 This doublet matches one of my Elizabeth gowns.